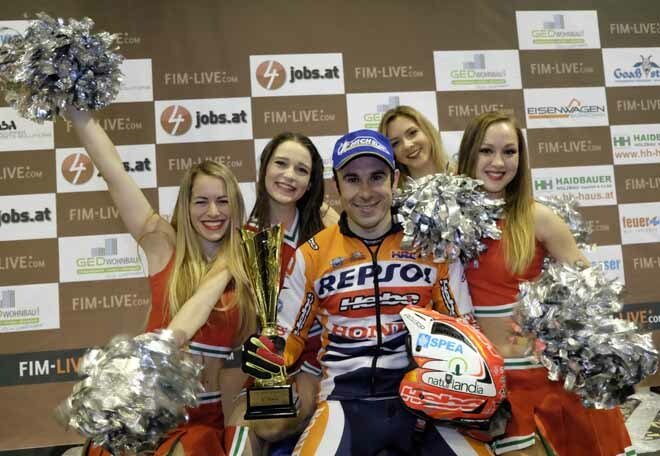 A tenth straight title is now in sight forToni Bou – Repsol Honda as he won the penultimate round of the 2016 FIM X-Trial World Championship in Wiener Neustadt, Austria. 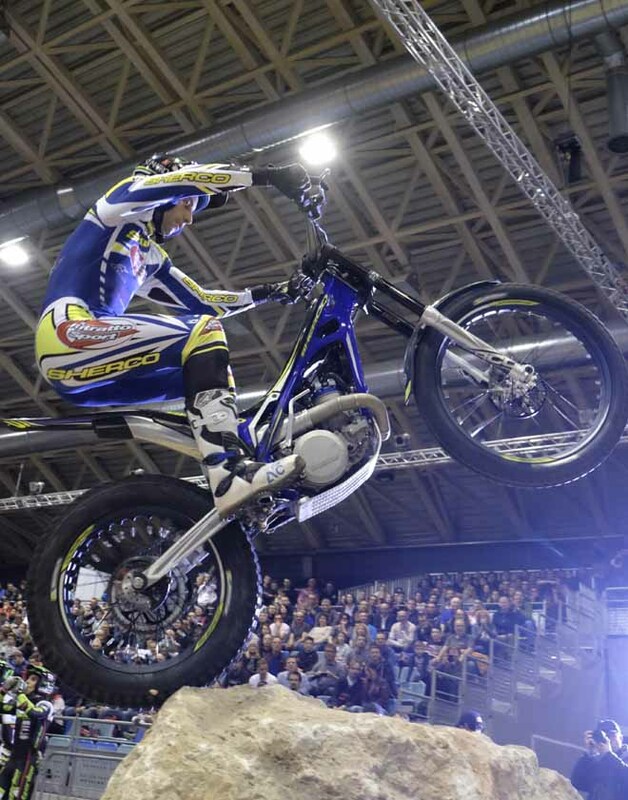 Bou will take an eight-point lead into the last round in Marseille next Friday after Albert Cabestany – Sherco snatched the runners up from Adam Raga – TRS following a dramatic tie-break race, due to the pair finishing on the same marks in the final. Toni’s winning margin was nine marks come the close of play, and with Raga and Cabestany locked on seventeen, fourth spot eventually went to Jeroni Fajardo – Vertigo a further six marks back. Qualification took place over six sections and the now usual double lane race to determine the initial starting order within each pairing. 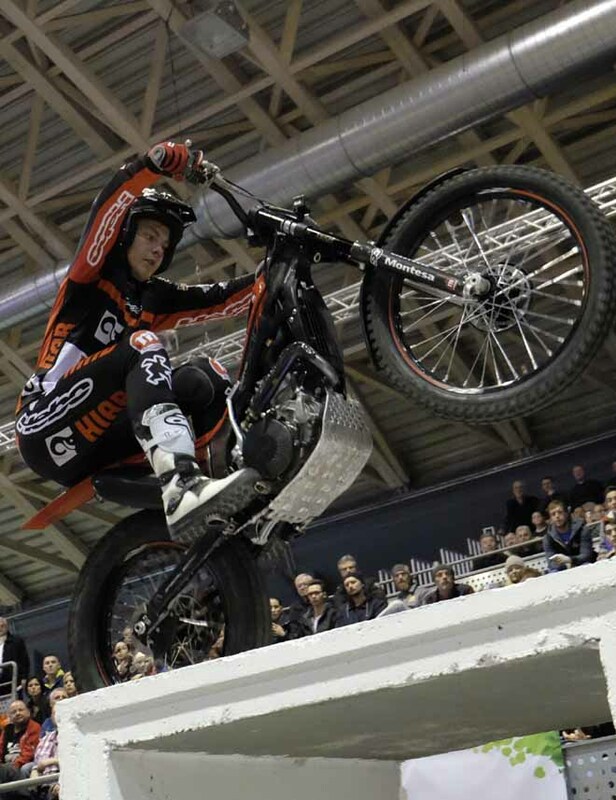 Much to the delight of the capacity Austrian crowd it was German wild card Franz Kadlec – Gas Gas who triumphed over Eddie Karlsson - Montesa in the first head-to-head sprint of the night to force the Scandinavian rider to lead the way through the hazards. 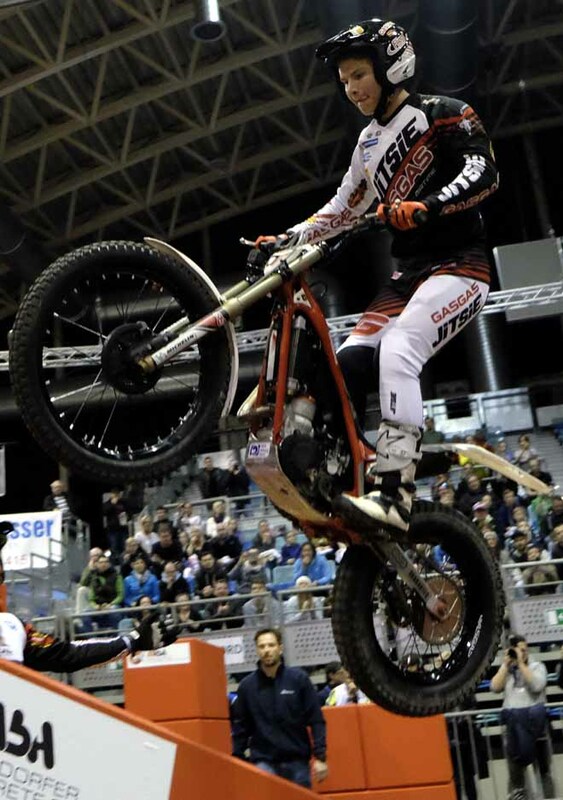 However, despite this early set back Karlsson actually faired the best of the two opening riders as he out scored Kadlec seventeen to twenty one as they finished sixth and seventh respectively. Next up, Takahisa Fujinami – Repsol Honda out raced Alexandre Ferrer – Sherco to push the French protagonist through the sections ahead of him. The Japanese challenger was by far the best in this duo as Ferrer failed in all but two of the hazards to end the night in eighth spot. 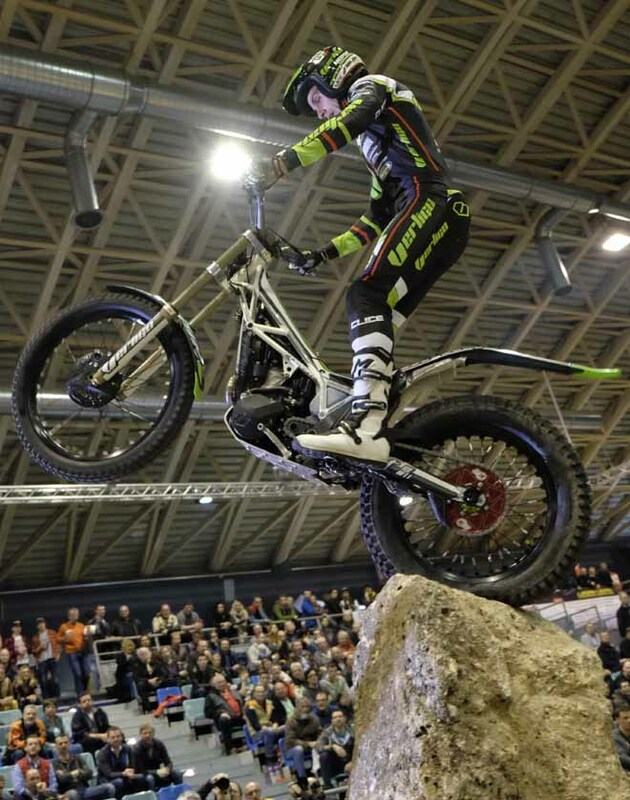 Whilst it initially looked like Fujinami had done enough to book his place in the four rider final his route to the main event was eventually blocked by a single mark as he lost fourth spot in qualification toFajardo who dropped seven marks. Fajardo had to play second fiddle to Cabestany in the third pairing of the evening, as he first lost the double lane race to his compatriot and then was unable to match Albert’s total of just three marks. 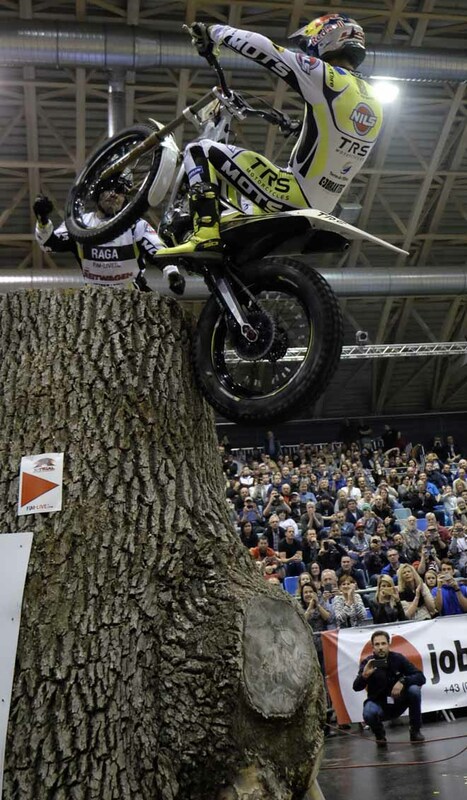 Bou was faster over the ground up against Raga to seize the initial advantage, but come the close of the opening lap nothing separated this title chasing twosome as they both just parted with two marks on the log section. Again it was Bou who succeeded in the technical dash after he crossed the line first in a tie-deciding race against Raga to top qualification. 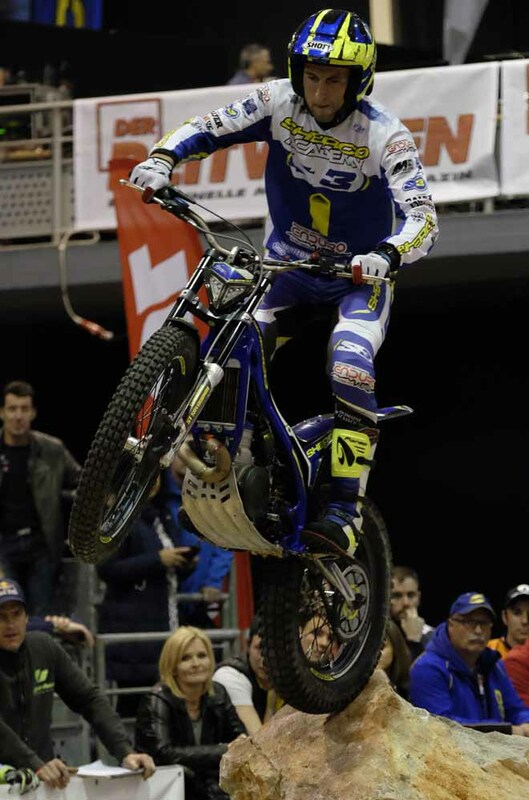 In this order, Bou, Raga, Cabestany and Fajardo confirmed yet another all Spanish final. Bou again dominated the final that was played over the same six sections, but this time each were ridden in the reverse direction. Raga had to ride himself back into contention after he fived the third hazard, a section that both Bou and Cabestany made it through. A similar error by Albert in the very next section meant that him and Raga were both tied going into the last hazard, which unfortunately they both fived and that set up a tie-decide sprint in which Cabestany was to succeed. Fajardo was never on the same pace as the other three finalists and had to settle for fourth position on a night when Toni has put one hand firmly on the title. 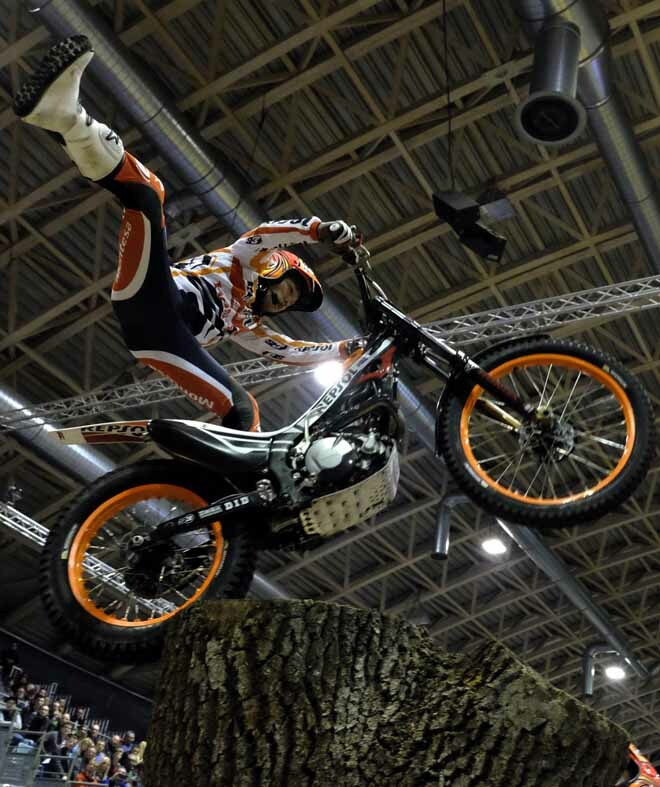 The 2016 X-Trial World Championship will reach its climax next Friday 25th March in Marseille, France. 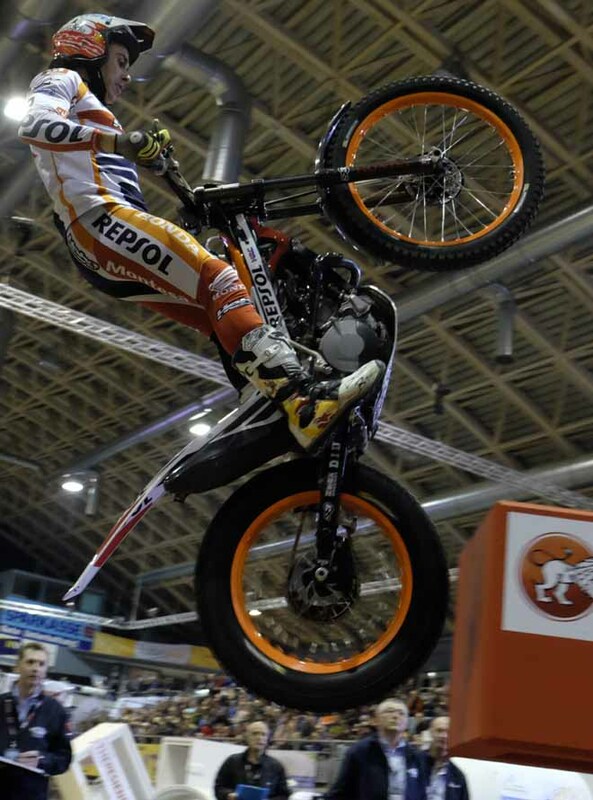 Toni Bou - Repsol Montesa si è aggiudicato la terza e penultima prova di questo cortissimo campionato. Secondo Albert Cabestany - Sherco, davanti ad Adam Raga - TRS.